Miss Sara (Big Nine) Washington born August 26, 1957. She was the daughter of the late Mr. Thaddeus (Ruth Pugh) Washington of Darlington County. 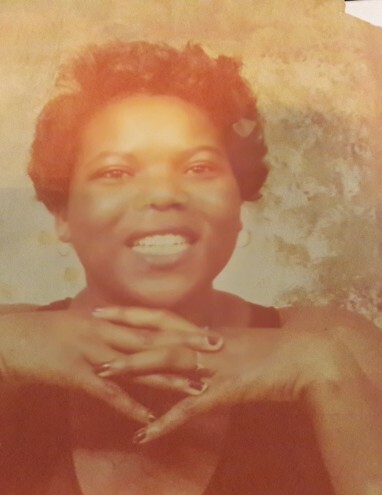 Miss Sara Washington had departed her earthly life Sunday August 12, 2018 from a long time illness at McLeod Hospice Care, (Florence) where she was surrounded by love from her family and friends. Miss Sara Washington will be greatly missed by her surviving relatives and friends. Miss Washington leaves behind her surviving three brothers; Mr. Leroy Washington of NC, Mr. Jimmy (Bobby Gean) Washington of Florence, and Mr. Thaddeus (Dorette) Washington of Timmonsville. Four surviving sisters; Miss Joan (John) Washington of Florence, Mrs. Jeanetta (Richard) Abson of Timmonsville, Mrs. Pearline (Larry) Taylor of Florence, and Miss Linda Ann Washington of Florence. One surviving aunt; Mrs. Lorine Bines of Timmonsville. Miss Washington also leaves behind a host of cousins, nieces, nephews and friends.